Some people don’t like gift cards, but I personally love them. I had a gift card for Debenhams and that’s what I used to get everything here; I then covered the res with my Beauty Card. It’s not sponsored either, it was a gift from family, just to clarify. Full coverage foundations and my favourite; and this is supposed to be exactly that. I’ve seen a lot of people use this in tutorials, so I decided to give it a go. In the end I got the shade 0.5 which is a tiny bit too pale for me, but it’s not the end of the world. I have used this since buying it, and let’s just say it hasn’t gone well. If you have dry skin then stay clear of this one, this was highlighting dry patches that I didn’t know I had. I also think I had a reaction to this, as it started to hurt under my eyes in the dry areas, so I took it off and all of my face was bright red. Has anyone else tried this foundation? I would love to hear how you get on with it. Another extremely pale product, but it’s concealer so it’s fine. I got this for highlighting under my eyes. Considering everybody raves about this concealer, it’s only right to give in and try it for myself right? I love the sound of this, as it’s supposed to feel really light and weightless on the skin, but still have the full coverage. I love the comfort matte range from Urban Decay, as I love a matte finish, but it’s got to be comfortable. 1993 is a warm brown, that is going to be perfect for Autumn and Winter. I love the Heat palette, so it made sense to get a lipstick from the same collection right? (Any excuse) Fuel has different packaging to the normal collection because as I mentioned it was released with the Heat palette, this one is a beautiful Rose Gold. 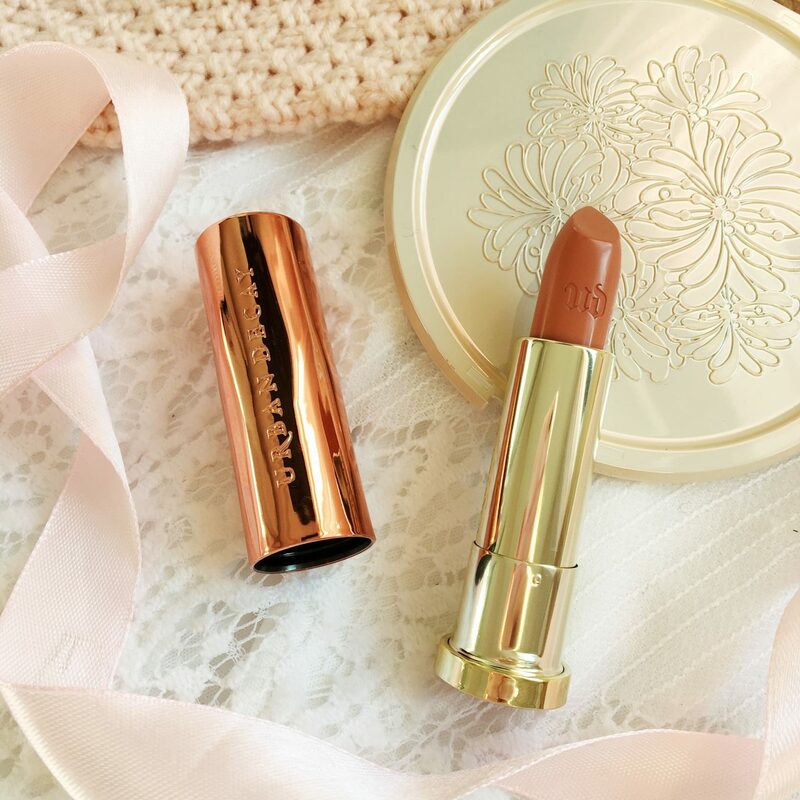 The colour of the lipstick is described as a warm peach. On the day of my mum’s wedding, I used a setting spray and then my MAC Fix+ to refresh, which isn’t too much of a problem, but how handy would it be to not have to carry around two products. This is what drew me to this spray, as you can spray it before makeup as a primer, to set your makeup and throughout the day as a refresher. Plus it’s Too Faced, so the packaging is adorable which helps. I have a full review on this if you’d like to see more. I have heard lots of mixed reactions about these highlighters which is why it took me so long to get around to buying this. I have used this since buying it and so far I can see why it has received mixed opinions, it is extremely sheer. I’m not being dramatic, but I had to apply six coats to properly build this up. Next time I use this I’m planning on using my Fix+ first and hoping that it helps. If you like subtle then these are for you. The colour is gorgeous though, it is a light peach with orange undertones. This has been on my wish list for so long! 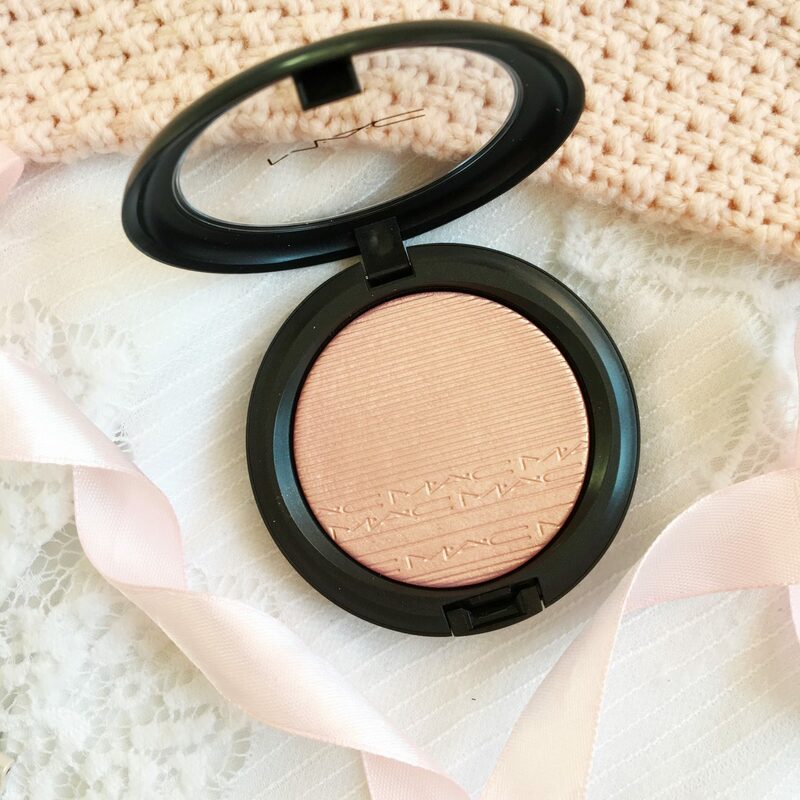 Beaming Blush is a gorgeous pink highlighter with gold and pink shimmer. I really like MAC highlighters as they aren’t hard to build up, and they last all day too. That is everything I got with my voucher! "Crown Brush Lip Stain Dusty Rose Review*"
Gorgeous haul, I love the lipstick shades you have picked! Love a good beauty splurge! A gift card for a department store is a great idea as you’re always bound to find something! 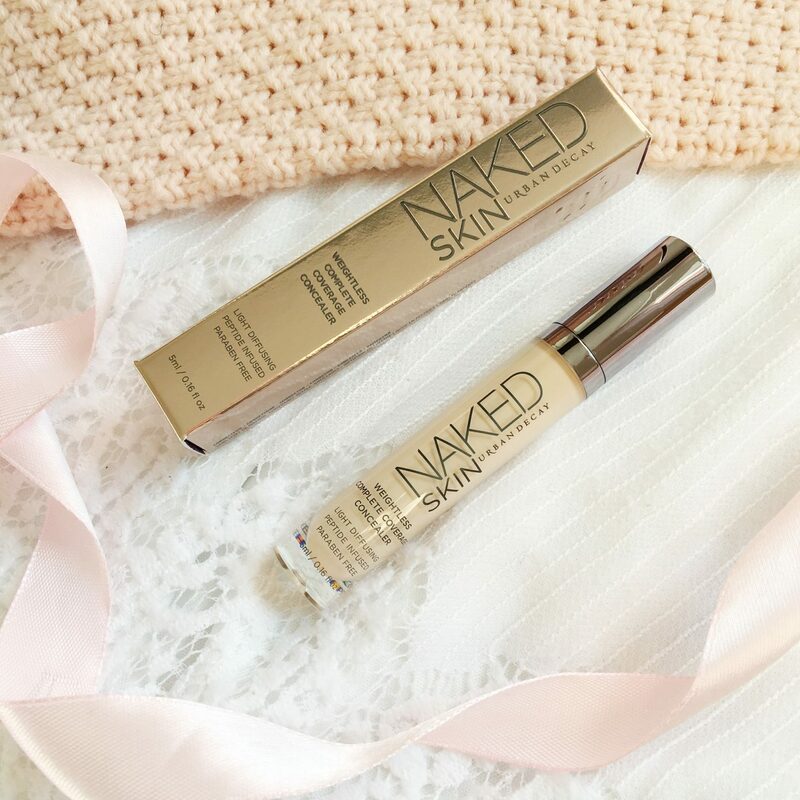 I’ll be interested to hear how you find Naked Skin as so many people rave about it! What an amazing haul! 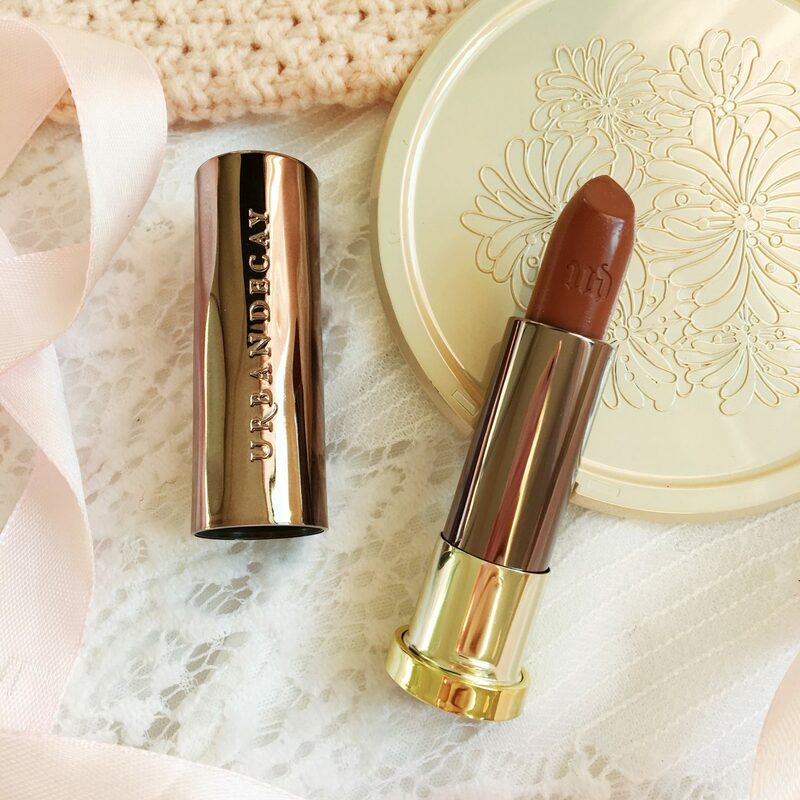 I love the comfort matte lipsticks from Urban Decay and the concealer! The mac highlighter looks gorgeous! I LOVE gift cards too! 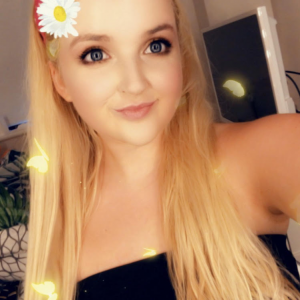 You got such amazing stuff, loving all of it! 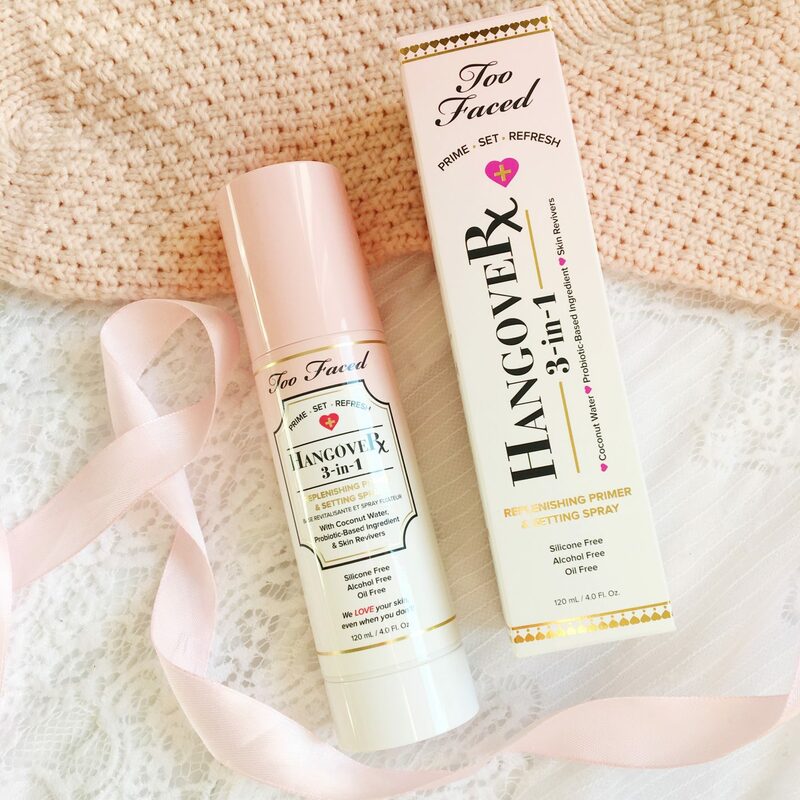 I am super intrigued by the Too Faced primer/setting spray! I really want to try it but it’s $50 here so I’m trying to use something else up first. It’s handy it’s all in one, though. you picked out great stuff, Hannah! I’ve been eyeing beaming blush its so so pretty! Everything you picked up looks lovely, but it’s a shame that the foundation didn’t work for you. I’ve never thrived the foundation before, but I don’t think I will after hearing your bad experience with it. Love the lipstick shades and that MAC highlighter oh my lord! The lipsticks are gorgeous ! 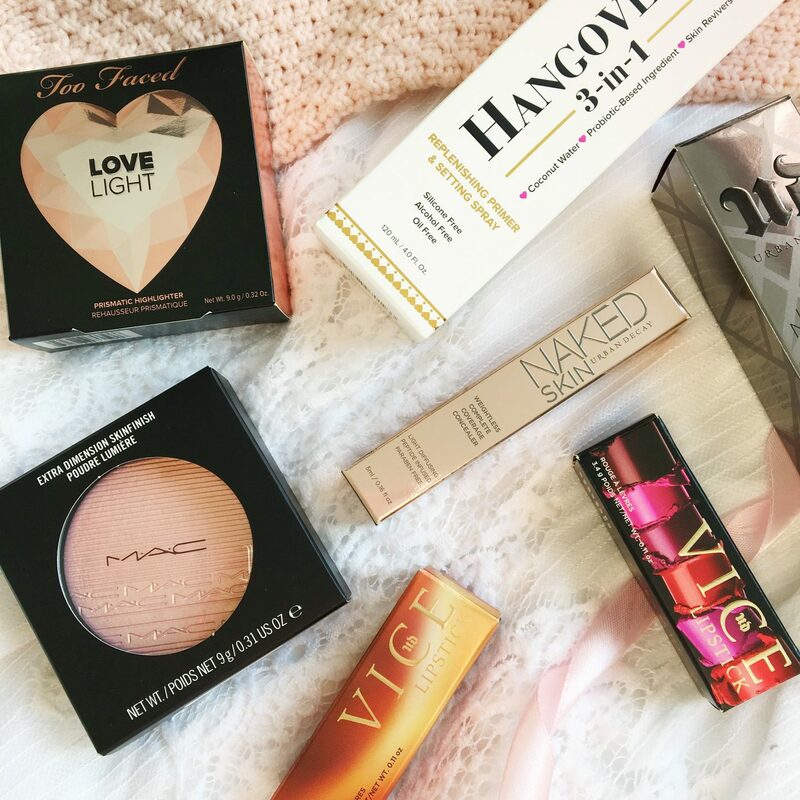 This post makes me want to go to Sephora for a serious shopping session ! I recently got the Naked Heat palette from Urban Decay and I love it. Maybe I would have bought more, but the customer service was so bad. She was so bored and when I asked about a Beauty Card, she said it`s not available anymore. Anyways, you got some amazing products, enjoy! Ah you have bought amazing products!! 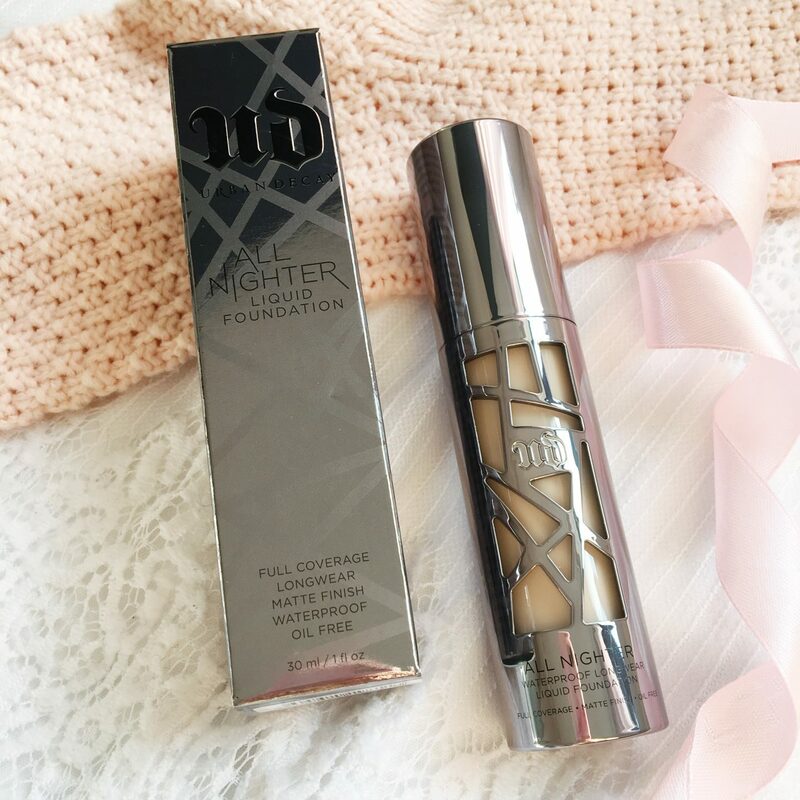 I am desperate to try the Urban decay foundation as I love full coverage foundation!! that hangover 3-in-1 is literally a godsend!!!! not only does it keep make up on my face all day long but cuts out needing a primer / setting spray / blotting paper throughout the day! The packaging for those urban decay lipsticks is gorgeous! Ohh my you’re making me want to go make-up shopping. Love Urban Decay! I love this haul! Looks like you got some good products! Wow what a haul girl! I would be VERY happy if this was delivered to me thats for sure. You have some lovely products! 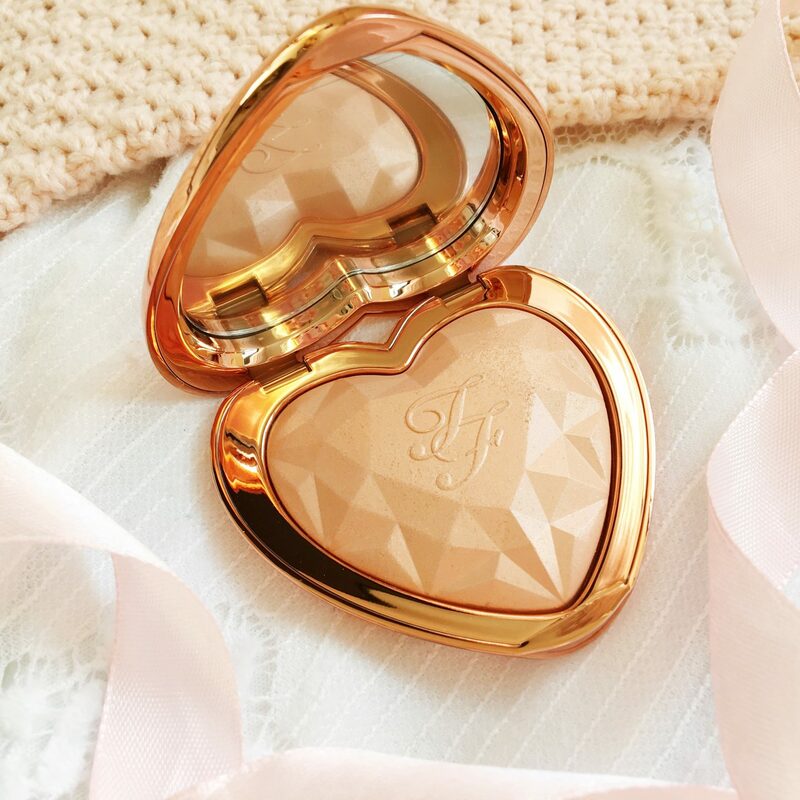 The Too Faced highlighter looks so pretty. Shame you needed to apply so many layers to get the depth of colour though.